We specialise in the repairs of Ducted Systems, Split Units, Ceiling Cassette Systems, Under Ceiling Systems and Mechanical Ventilation. Our fields of expertise involves Air Conditioning design and contracting for Residential, Business, Commercial Developments, and Industrial Complexes. We repair units using only original parts. We reply promptly to your airconditioning unit repair needs. We are able to offer advice and highly competitive pricing on any aspect of airconditioning backed by a solid foundation of after sales services excellence to our clients. Our team of tradesmen are fully qualified with recognised trade qualifications and have a simple philosophy of hard work and a strong focus on customer service. Why Your Commercial Air Conditioning System Needs Repair? An air conditioning system fails mainly because of a bad compressor. After a couple of minutes you turn the air conditioner on, the compressor kick starts to dispense cool air. However, if the compressor is taking more than the expected time to start or is not starting at all, you have a bad compressor that needs to be repaired immediately to avoid further damage to the appliance. Sometimes, the compressor could lose its refrigerant gas charge due to a fracture to the copper pipe or a leaking valve. This should be immediately brought into the attention of A.C expert, because a compressor running without adequate refrigerant gas depreciates in efficiency prematurely. Whatever is your concern, True Air Conditioning has you covered. We have a team of professionals that identifies various models and makes of air conditioning systems and can tackle all types of repair jobs. You can commission us for residential, commercial and industrial repair and can expect reliable, honest services from our end. We have a team of certified professionals who are trained in their duties to perform simple to complex repairs. 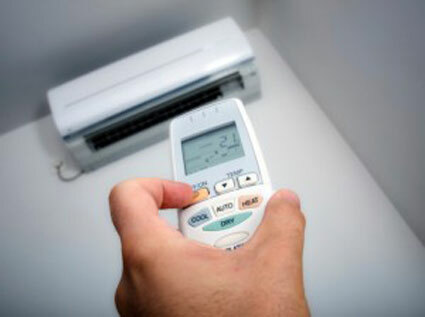 The best thing about us at True Air Conditioning is that we offer same-day assistance to our customers in Adelaide, because we understand that spending a single day without a functional air conditioner can take a toll on you. And, if you run a business, downtime of even a couple of hours can put you and your customers in a horrible situation. In a bid to prevent the situation from getting worse, True Air Conditioning delivers prompt assistance regarding residential and commercial air conditioning repair in Adelaide.